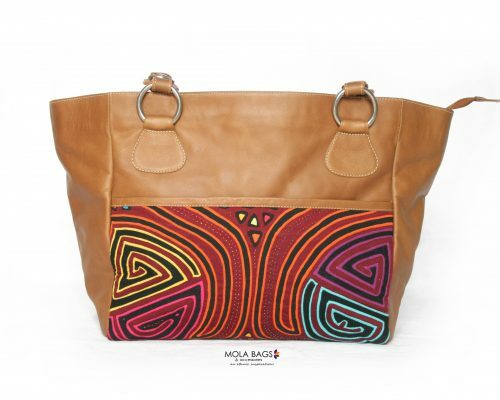 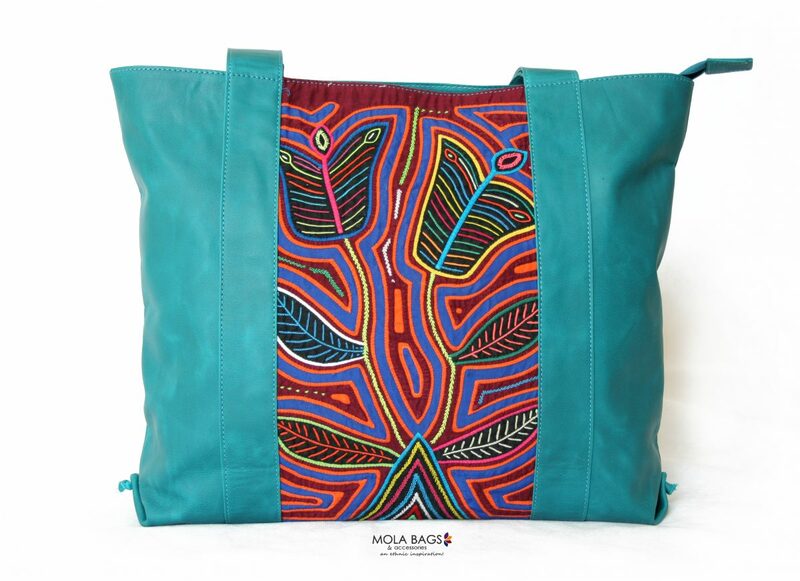 Leather shoulder tote bag with a beautiful handsewn textile Mola decoration on the front side. With a large main compartment available through a zipper and three small practical inner pockets perfect for small objects. 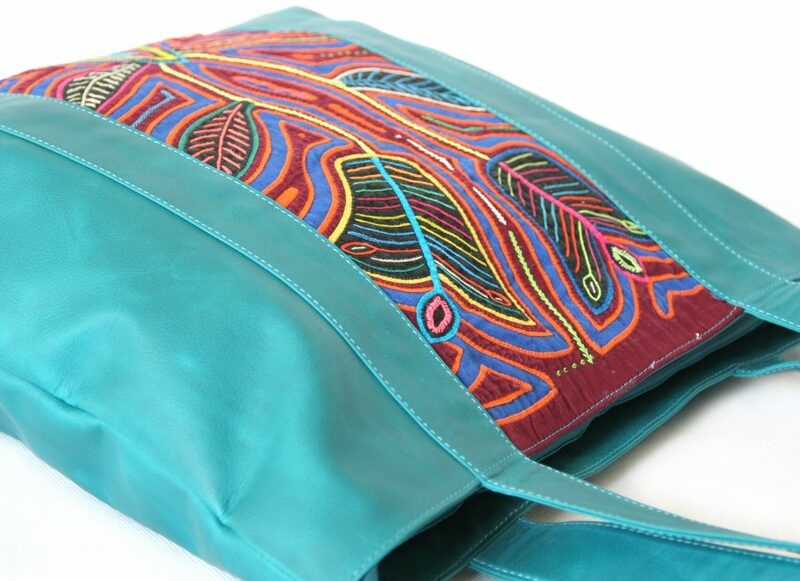 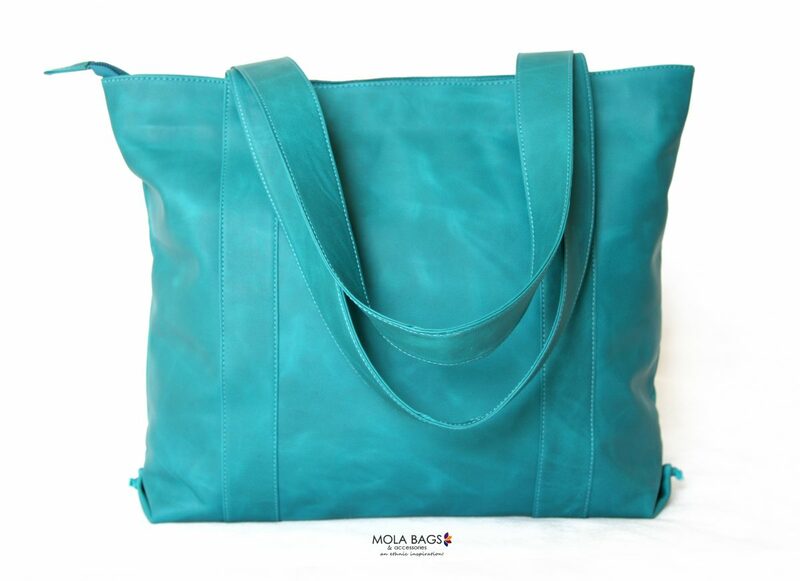 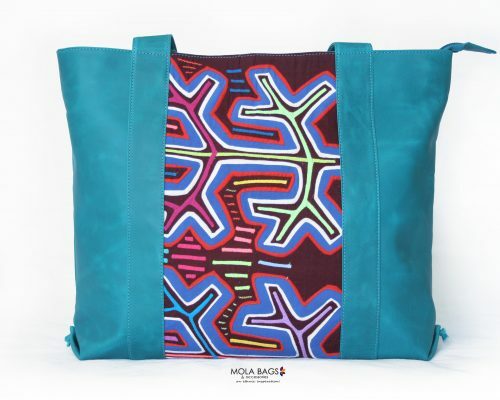 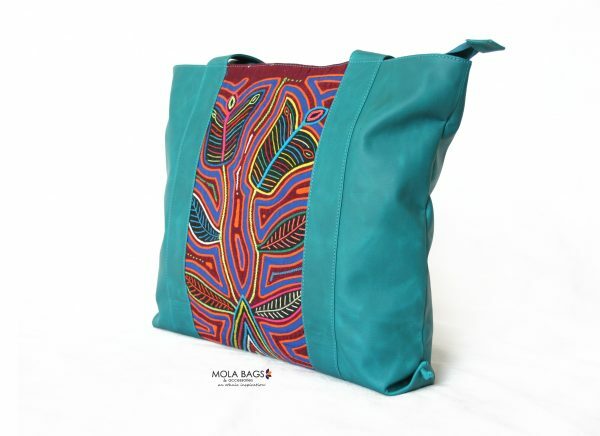 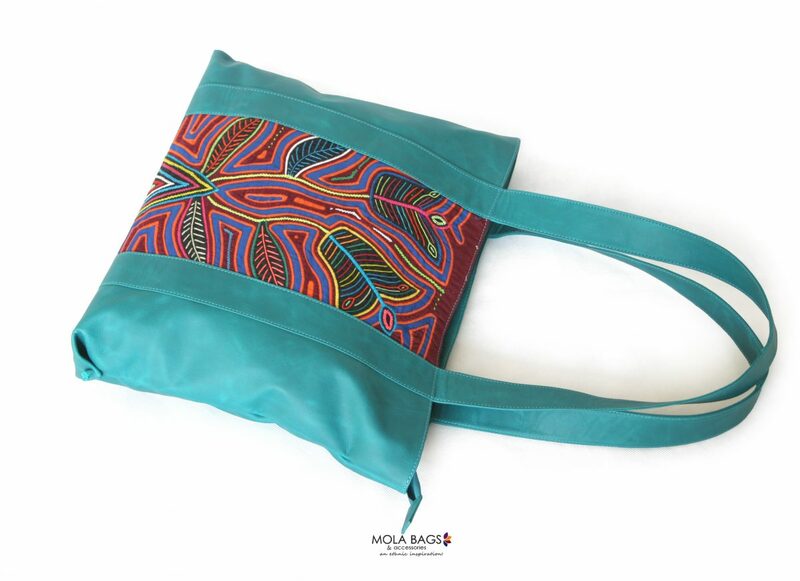 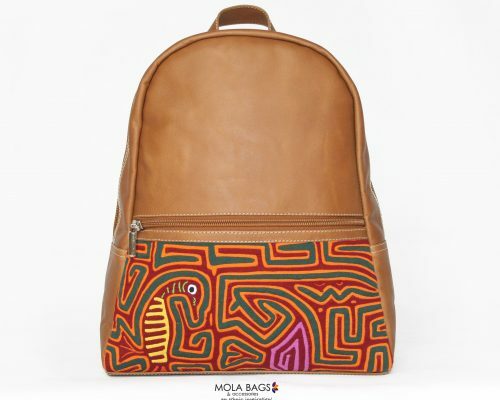 A brightly turquoise tanned-leather in combination with a beautiful Mola application make this bag totally unique! 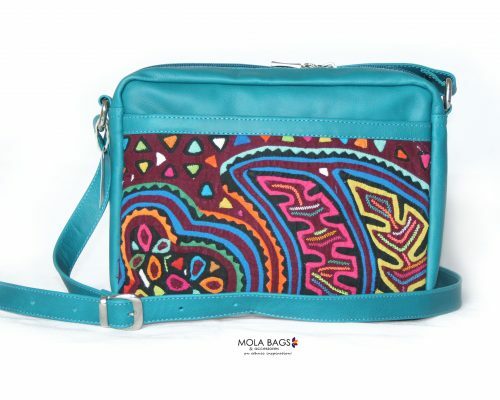 Dimensions: Lenght-Height-Width: 42 x 32 x 8cms. 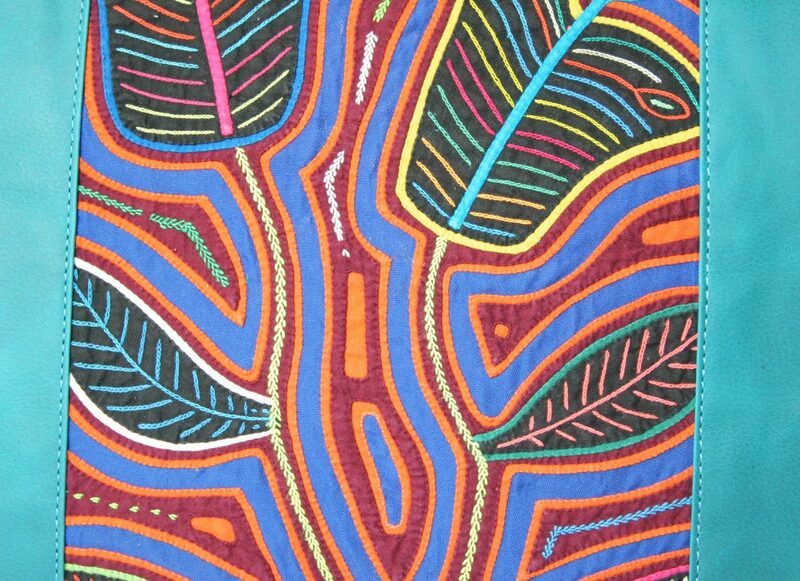 Straplenght: 27cms.